UK Manufactured Pillow cases to fit 3'6" (107 x 49cm) Pillows. Available in a range of colours and luxury fabrics. Made in luxury poly cotton and 100% cotton fabrics. Extra Large Pillow Case in Ivory in Brushed CottonSize: 42" x 19" (107 x 50cm) Made in Ivory 200 Th.. Extra Large Pillow Case in Ivory CottonSize: 42" x 19" (107 x 50cm) Made in Ivory 200 Thread Count .. Extra Large Pillow Case in Ivory 400 Count CottonSize: 42" x 19" (107 x 50cm) Made in Ivory 400 Thr.. 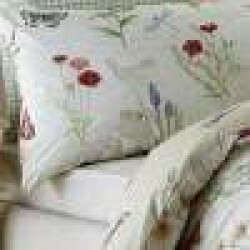 Extra Large Pillow Case in IvorySize: 42" x 19" (107 x 50cm) Made in easy care 50/50 Poly Cotton Pe.. Extra Large Pillow Case in LilacSize: 42" x 19" (107 x 50cm) Made in easy care 50/50 Poly Cotton Pe.. Extra Large Pillow Case in NavySize: 42" x 19" (107 x 50cm) Made in easy care 50/50 Poly Cotton Per.. Extra Large Pillow Case in White Brushed CottonSize: 42" x 19" (107 x 50cm) Made in Ivory 200 Threa..
XL PIllow Case in 1000 Thread Count CottonSize: 42" x 19" (107 x 50cm) Made in Ivory 1000 Threads t.. Extra Large Pillow Case in White 400 Count CottonSize: 42" x 19" (107 x 50cm) Made in Ivory 400 Thr..